The Waterfront: Red carpet Event! 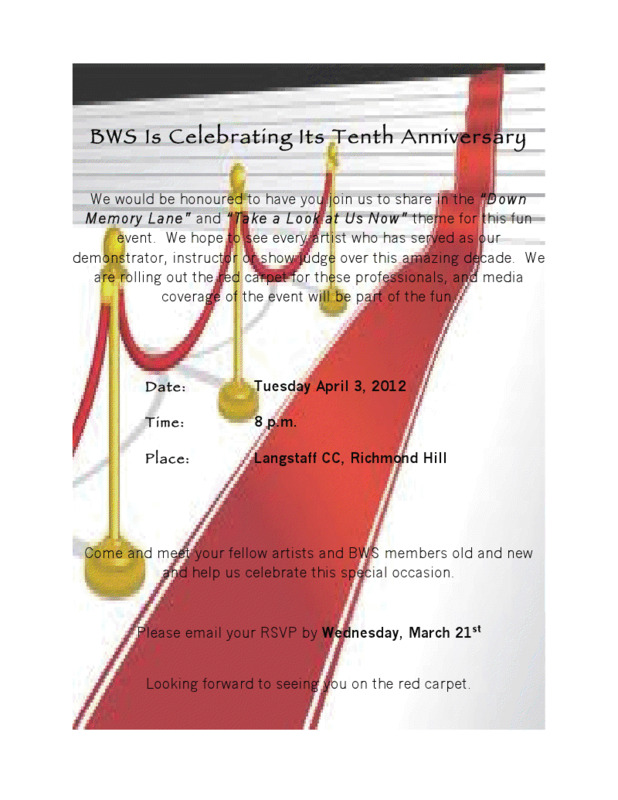 Bayview Watercolour Society turns 10 next month and we are planning a special celebration to honour the event at our Tuesday April 3rd meeting at Langstaff Community Centre. Hope to see you there!